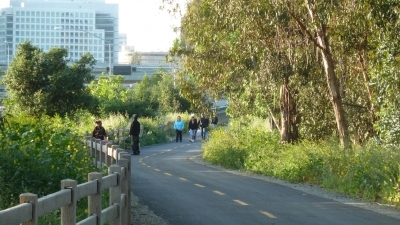 Part of the San Jose Trail Network, the Guadalupe River Trail is a paved trail that serves as a primary spine linking Downtown San Jose, to the Airport and housing and commercial developments in the heart of Silicon Valley. Along the Guadalupe River Trail, users can access parks and open space, points of historical interest and the many attractions head throughout the year in Downtown San Jose. 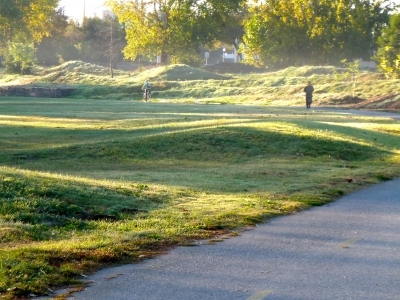 Trail travels through large portions of city, easily accessible from major cross streets. 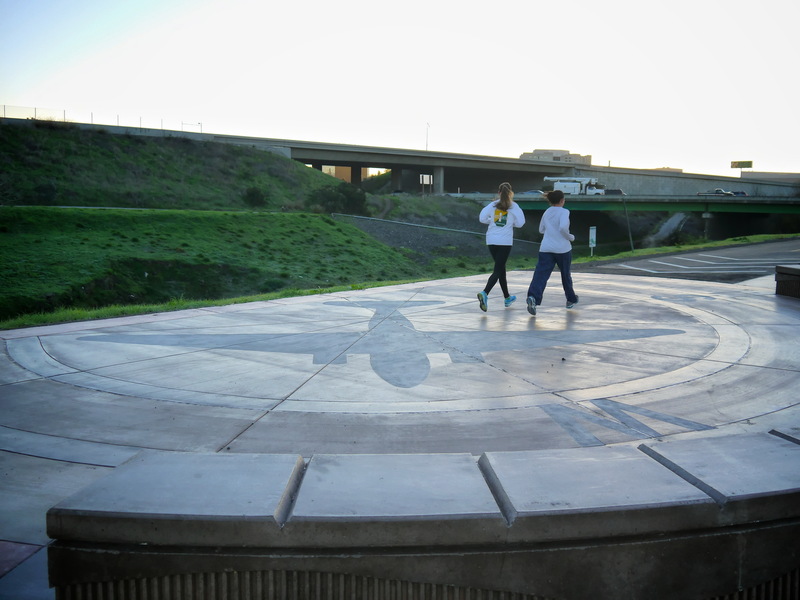 Popular access points include Alviso (Gold Street), Guadalupe River Gardens (Taylor Street) and downtown (San Carlos Street). The City of San Jose is strategically developing a 100-mile trail network by unifying 35 trail systems to provide active transportation and recreation for pedestrians, bicyclists, equestrians and other users. 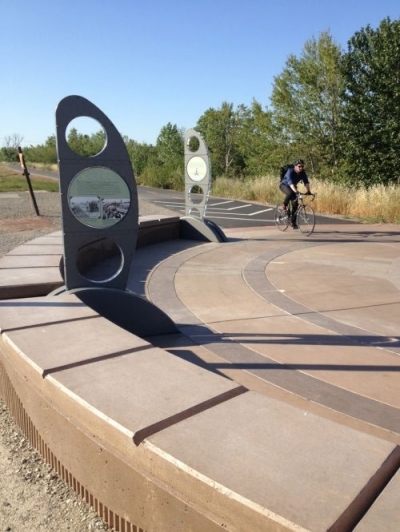 The Guadalupe River Trail is a 10-mile paved trail that serves as a core system within the network, it extends from Gold Street (Alviso, San Francisco Bay to Virginia Street, Downtown). 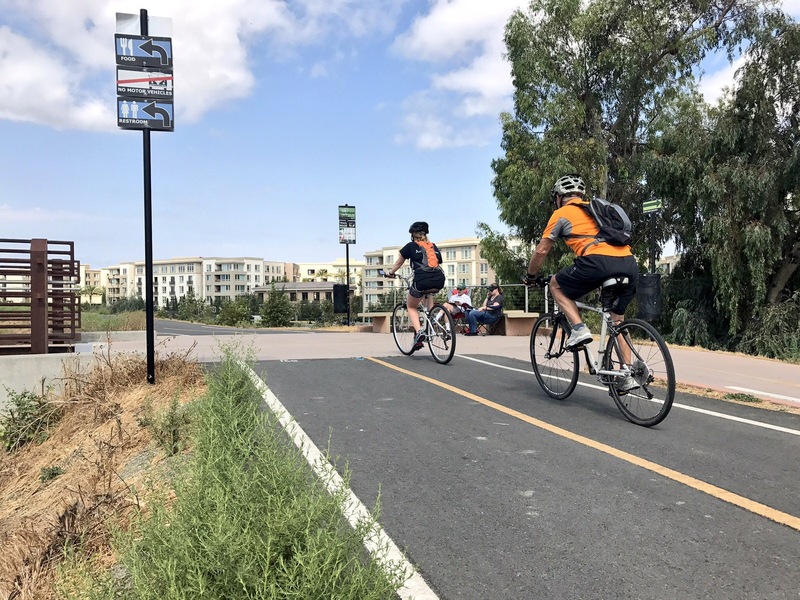 Surveys indicate that nearly 1,000 people use the Guadalupe River Trail on a daily basis, and of that number, over 50% are commuting to and from work. 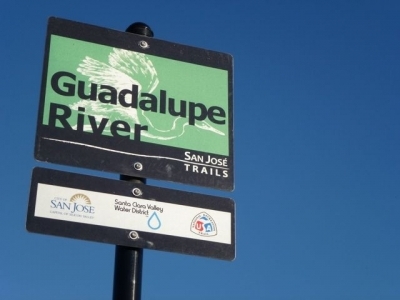 Travel along the Guadalupe River Trail offers the user a variety of experiences. 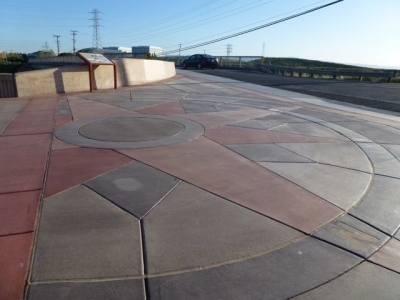 Each trail entry is distinguished by decorative pavement (in the form of a large compass, and often includes interpretive signage). Starting from near the San Francisco Bay, the trail user can travel through the Alviso community, with many historic structures from its 19th century boom as San Jose's port. Further south, the trail user will view Silicon Valley's many major employment sites and serve to provide access to companies like Cisco, EBay, IBM and others. Passing along San Jose Norman Y. Mineta International Airport, trail users will see San Jose's largest public art piece, The Hands" which extends across the face of a 6-story parking garage and can sit at Airport Plaza along the trail for views of planes landing and departing can be seen. 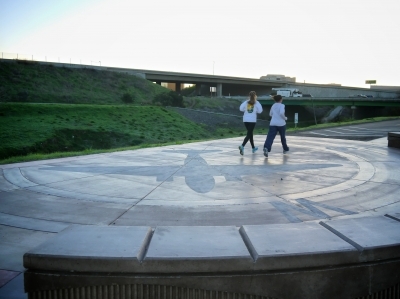 Through the Guadalupe River Park, the trail user can take spur trails to view the nation's largest collection of antique roses and many other points of interest, dining and cultural activities can be found in Downtown San Jose, and the newest 0.4 mile extension will link historical neighborhoods to the trail and park by December 2010. A long-term plan is in place to further develop the trail upon completion of flood protection improvements (managed by the Army Corp of Engineers and Santa Clara Valley Water District) through central San Jose and link to existing reaches of the trail (4 miles) in South San Jose with an existing connection to the 6 mile Los Alamitos Creek Trail and Lake Almaden Regional Park. 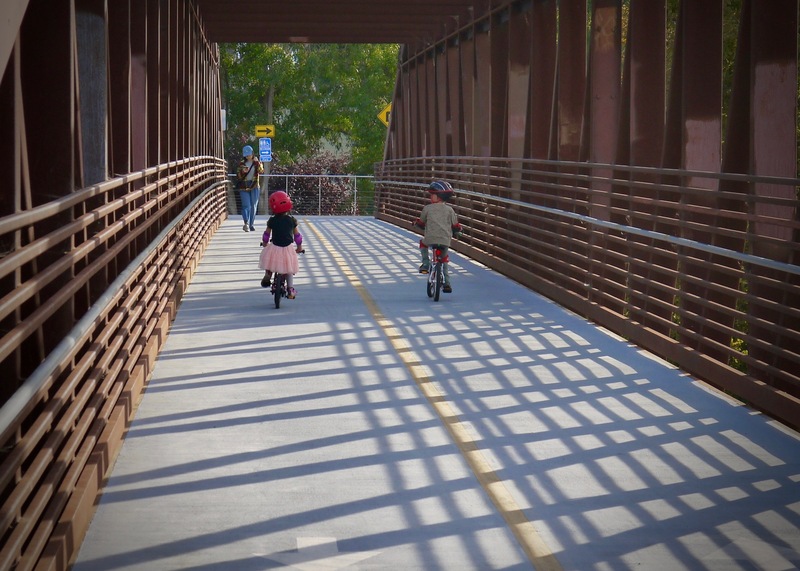 Newly constructed extension to the Guadalupe River Trail. Photo by Yves Zsutty. Cyclist and runner enjoying the greenway. Photo by Yves Zsutty. Crossing paths! Photo by Yves Zsutty. Where city and greenway meet. Photo by Yves Zsutty. Bicycle commuter traveling in the morning along the Guadalupe River Trail. Photo by Yves Zsutty. 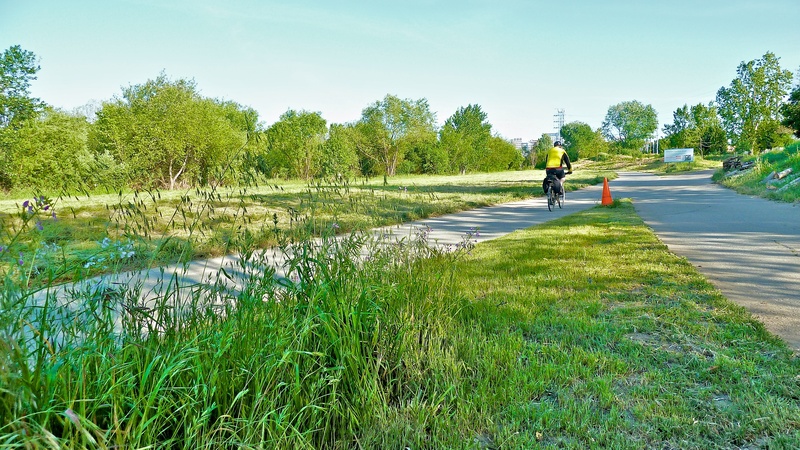 Multi-use trail option includes persons on personal mobility devices. Photo by Yves Zsutty. 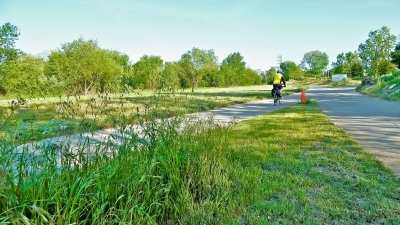 Bicyclist enjoying the river side trail between Downtown San Jose and Silicon Valley employment. Photo by Yves Zsutty. 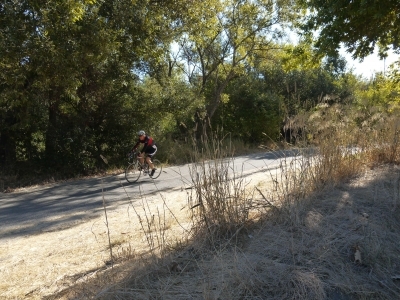 Bicyclists enjoying a sunny Wednesday through North San Jose. Photo by Yves Zsutty. 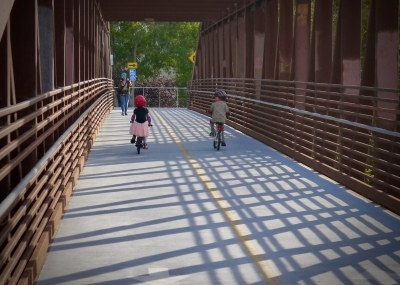 Two young trail users crossing the River Oaks Pedestrian Bridge along the Guadalupe River Trail. Photo by Yves Zsutty.